Our client, Fastracker Developments, is a development company specialising in 100% affordable schemes as a turnkey operation for RSLs. 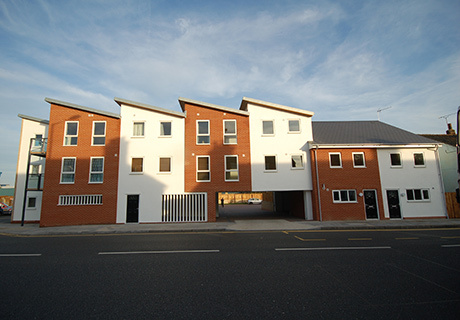 This project, built for Flagship Housing Group, is on the site of a former pub and in the flood zone. 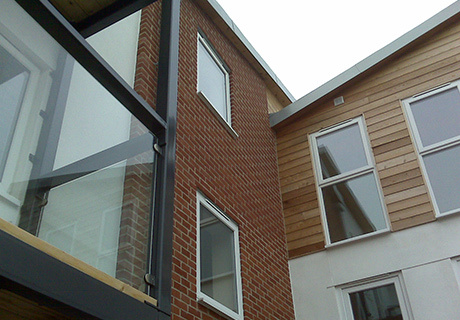 It previously had planning permission for four flats. The 8 houses and 6 flats have all their habitable accommodation on the first floor or above, however the street frontage has been maintained.